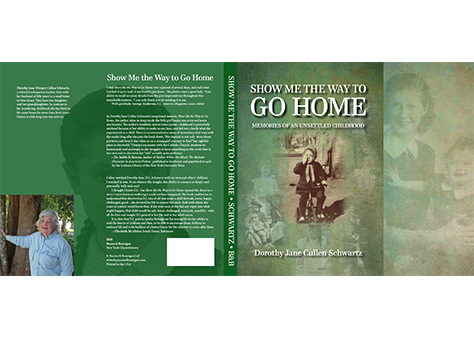 Show Me the Way to Go Home, is the memoir of a 1940s-1950s girlhood in the area around West Orange, New Jersey. Dependent on a pretty but feckless single mother, boarding with relatives and acquaintances, attending many different schools, Dorothy Jane survives sharing beds with not always happy relatives, a spell in a night-care home, playing poker in smoky rooms, and her mother`s raffish companions; recalling adored teachers with clarity. 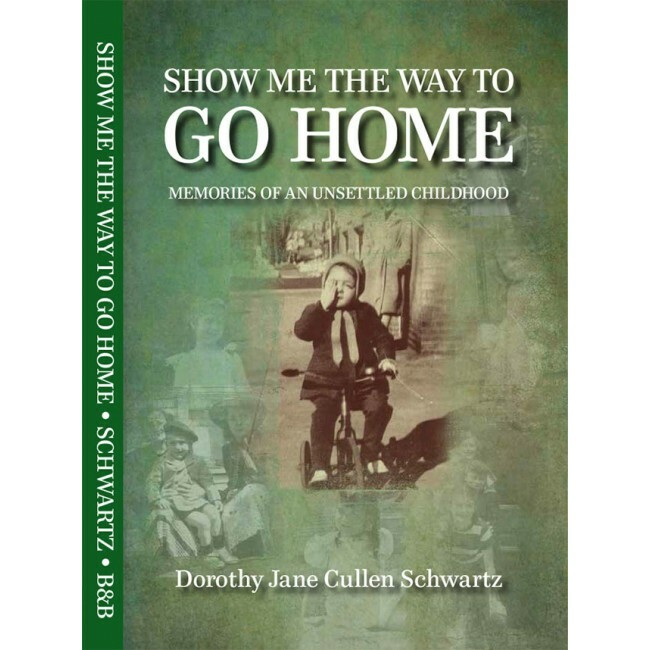 Dorothy Jane (Deejay) Cullen Schwartz, a retired kindergarten teacher, lives with her husband of fifty years in a small town in New Jersey. They have two daughters and two granddaughters. In contrast to her wandering childhood, she has lived in the same house for more than forty years. Deejay is a life-long anti-war activist.
" I often watched Dorothy Jane D.J. Schwartz with my own and others’ children. I watched in awe. From whence came this insight, this ability to connect so deeply and personally with each one? I thought I knew D.J., but Show Me the Way to Go Home opened the doors to a story I never knew, to suffering I could not have imagined. The book caused me to understand that, deprived as D.J. was of all that made a child feel safe, loved, happy, challenged, good – she devoted her life to ensure that each child with whom she came in contact would know that, if she were near, if she had any input into what might happen, that child would be safe, loved, challenged, nurtured, cared for – with all the love and insight D.J. gained in her life and in her adult career.